Knowing your rights as a borrower will help ensure your lender doesn’t give you a raw deal. Glossy ads and slick websites make applying for credit look attractive and stress-free. Instant riches can be just a click away. But don’t let the hype get you. Here’s what you need to know to make sure the lender doesn’t try to pull the wool over your eyes. credit sales – such as buying an appliance or car on finance. Before you sign a contract with a lender, it must give you a disclosure statement about what the loan will cost. Read the disclosure statement carefully and make sure it spells out exactly how much repayments will be, how much interest you’ll be charged and how the lender calculates this cost. Also check whether you’ll be stung by any other costs – such as an establishment fee to set up the loan, insurance charges, or the cost for the lender to check your credit history. The disclosure statement must outline your rights to cancel the contract, what happens if you can’t make payments and whether you’ll pay a fee for any early payments. By law, you’ve got a cooling-off period if you change your mind and want to cancel the deal. This period is five working days from the date you were handed the disclosure statement. If you cancel but have already taken the goods home, you’ll still have to buy the items. This means you may have to apply for credit elsewhere if you haven’t got the cash to pay. You’ll likely have to fork out for fees at some stage when signing up for credit. That said, a lender’s fees must be reasonable. If you repay your loan early, you may be charged a fee but it should be a reasonable estimate of the lender’s loss from unearned interest and other charges. The lender can loan the money out again, so any loss should be minimal. You could also be charged to cover the cost of a third party’s service. For example, the lender may organise a credit check on you. However, this fee must not exceed the actual cost of carrying out this service. There are no limits on the rate of interest a lender can charge. You can also be hit with default interest at a higher rate if you fall behind with payments. If you are struggling with repayments, you can make a hardship application. Write to your lender and ask to change the terms of your contract. You’ll need to make clear why you’re experiencing hardship – such as illness, injury, or redundancy. If you fall behind with your payments or break other terms in a contract, the lender can repossess the goods that you’ve bought or offered as security for a loan. You can ask the lender to extend how long you have to pay off the loan, or to postpone repayments for a specific time. While these options will give you a break, you’ll likely end up paying more. Lenders aren’t allowed to increase the interest rate on your loan if you’ve changed your contract because you’ve suffered hardship. if you’ve been in default for two weeks after receiving a repossession warning notice or a notice that you’re in default on your mortgage. If you fall behind with your payments or break other terms in a contract, the lender can repossess the goods that you’ve bought or offered as security for a loan. The lender must explain its right to repossess in your contract and must follow the steps set out in the act. Harsh terms or dodgy products? Consumer law offers protection if the terms of your contract are harsh or you’ve been sold a dud product. The courts have the power to change the terms of credit contracts if they judge them as oppressive. This includes terms that are harsh, unjustly burdensome, unconscionable, or in breach of reasonable standards of commercial practice – in short, terms that are extremely unfair. If you’ve bought a product – such as a fridge or a car – with credit arranged by the retailer, it can also be held liable for the loan if the product isn’t of acceptable quality and you reject it under the Consumer Guarantees Act. You might be told you need insurance if you’re buying goods on credit. Before you sign anything, make sure you’ve been given a copy of the policy. is manageable for you to pay and won’t leave you in substantial hardship. Lenders are often keen to push payment protection insurance. This insurance gives limited cover if you lose your income because of illness, accident or redundancy. Because the cover is so limited, make sure you review the policy carefully before signing up. ACC means you shouldn’t need this sort of insurance to cover accidents. If you have life insurance, you won’t need extra insurance to cover the debt in the event of your death. If you repay the loan early, you may be entitled to a partial refund of any insurance premiums paid. The amount depends on how much longer the contract has to run. You can check the scheme the lender belongs to on the Financial Service Providers Register on the Companies Office website – companies.govt.nz. You can also make a complaint to the Commerce Commission if you think the lender has breached the CCCFA or the Fair Trading Act. Buy-now, pay-later providers, such as Afterpay and Laybuy, are springing up everywhere. If you don’t have the cash, you can get your goods immediately and then pay them off in interest-free instalments. Catchy hashtags, such as “#afterpayit” make everything seem in reach with just a click of a button. With Afterpay, you pay off the purchase price in fortnightly instalments over eight weeks. With Laybuy, you pay it off in six weekly payments. Paying this way may be an attractive option if you don’t have cash on hand. But the downside is that you’ll be charged fees if you can’t pay an instalment on time. Depending on the value of your purchase, Afterpay’s missed payment fees range from $10 to $51. 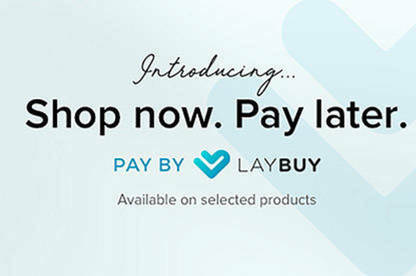 With Laybuy, you can be charged up to $20. If you end up not being able to clear your debt, you could find the debt collector at your door. You may also get a black mark on your credit file. These schemes aren’t covered by the CCCFA. We think they should be so consumers have the same protections that are available when they’re using other forms of credit. A 2018 investigation by the Australian Securities and Investments Commission (ASIC) found buy-now, pay-later schemes caused some consumers to become financially overcommitted and liable to paying late fees. ASIC’s review found one in six users had delayed bill payments, become overdrawn, or borrowed additional money because of a buy-now, pay-later arrangement. The typical customer was young, aged between 18 to 34 years.